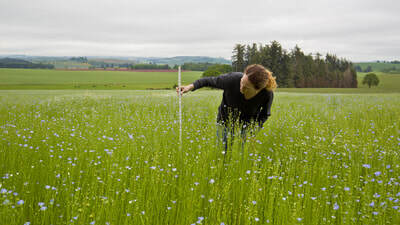 ​Flax (Linum usitatissimum) is a bast plant. The term bast refers to the soft fibers produced in the plant stems as part of the phloem tissue. 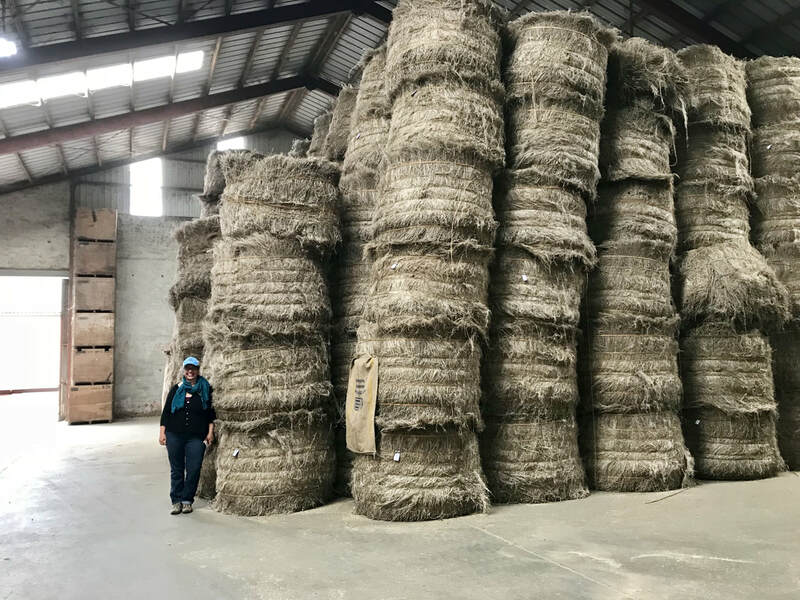 These fibers help keep the plant upright, as the top of the stalk is developing heavy seed pods, preventing the plant from falling over and dying prematurely. 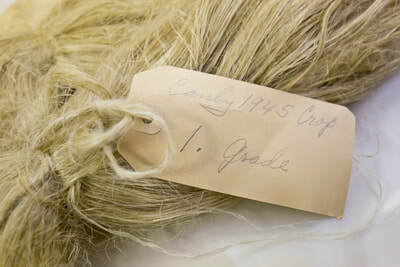 For this reason, flax fibers are naturally strong and durable. Flax matures quickly in just 100 days. 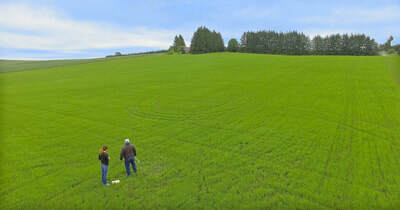 It is an excellent crop to include in rotations with other cereals, grass seed, alfalfa, and oil seed crops. 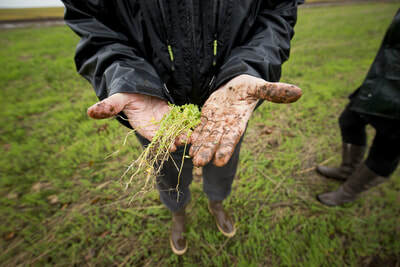 As part of a holistic farm plan to maximize crop production while sequestering carbon, a fiber flax crop can follow vegetables, cereals, cover cropping, or intensive rotational grazing. 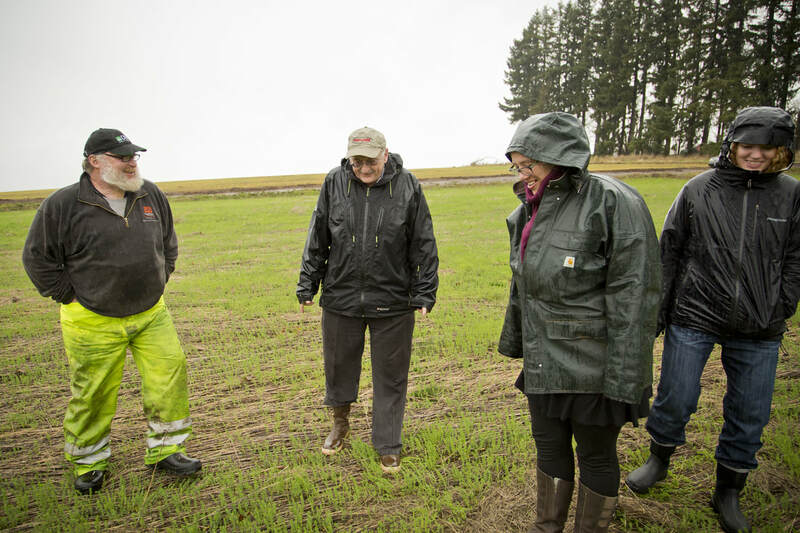 Fiber flax’s high seeding rate suppresses weeds, and once pulled for harvest leaves a clean field for the next crop without the use of herbicides. 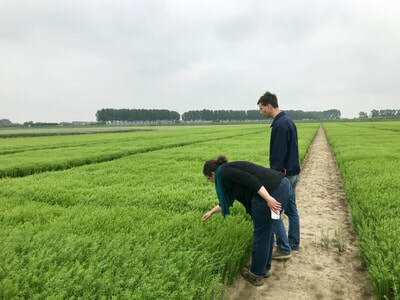 It needs very little water to grow, and generally, irrigation is not required for flax unless temperatures are very high after the flowers appear. 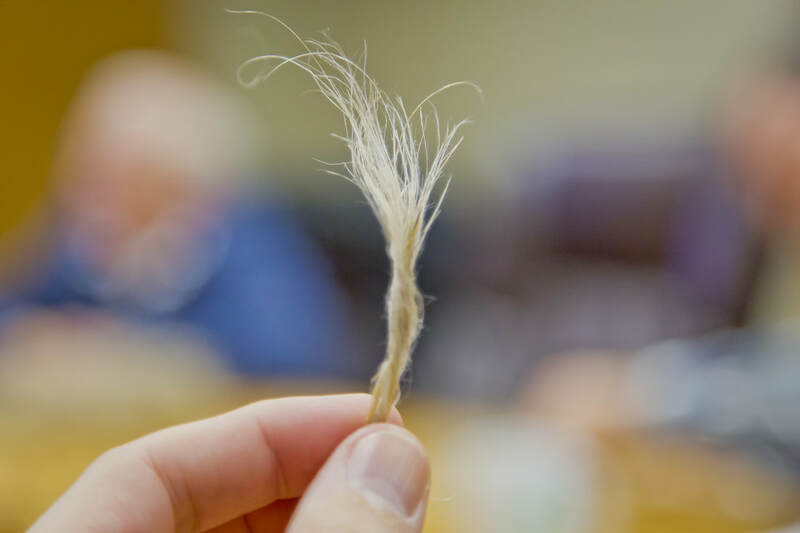 Fiber flax requires a low Nitrogen input compared with cotton (approx. 30 to 50 lbs. 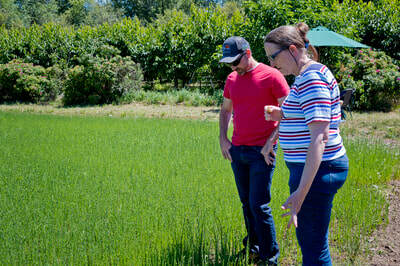 per acre depending on N levels in the soil). 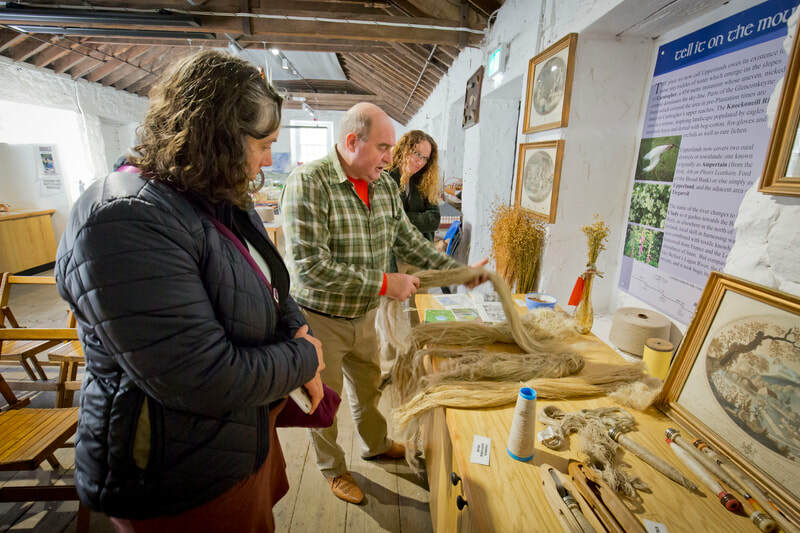 Spun flax fiber, or fabric made from this fiber, is called linen, a natural fabric used for more than 5000 years, longer than cotton or wool. In comparison to cotton’s composition at 90% cellulose, flax fibers are approximately 70%, making linen a crisper and shinier fabric. Linen is also very absorbent, dries quickly, is cooler to the touch, has a better uptake of colorants and shrinks less than cotton. In the spring of 2018, our flax acreage increased to nearly 15 acres in production. 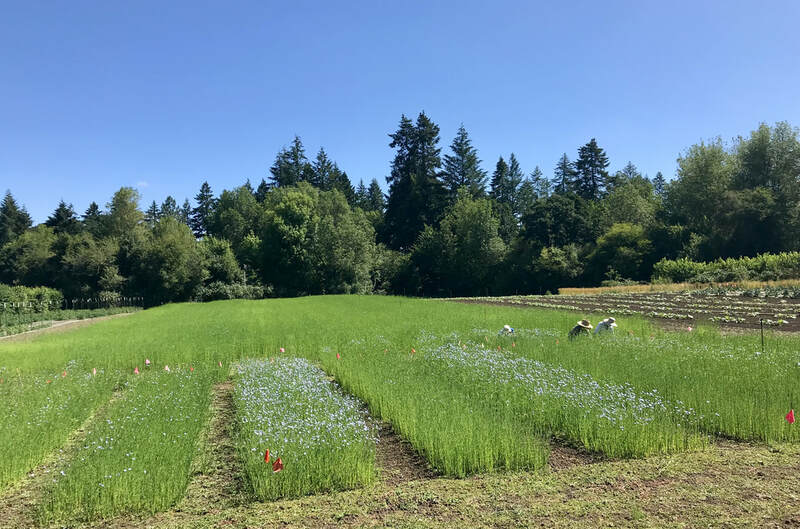 The F2 crosses from our seed breeding program were planted in field plots at Lewis-Brown Farm for a seed increase, ready to test on organic farms in 2019. 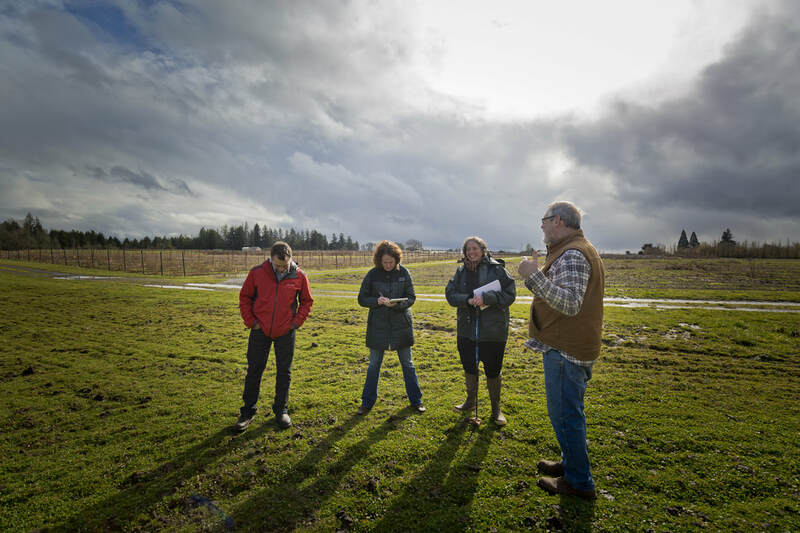 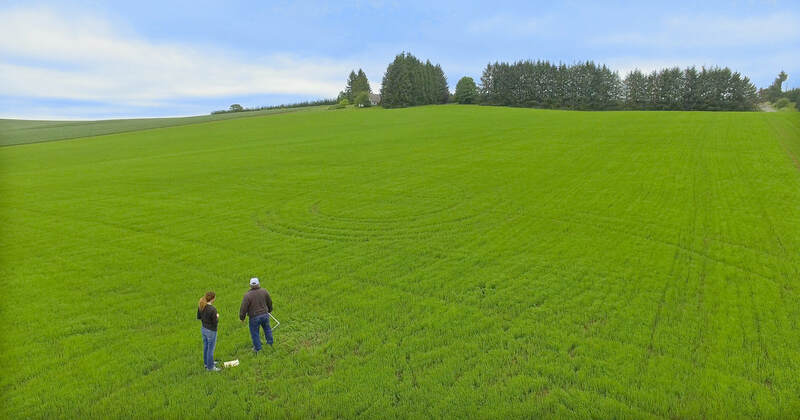 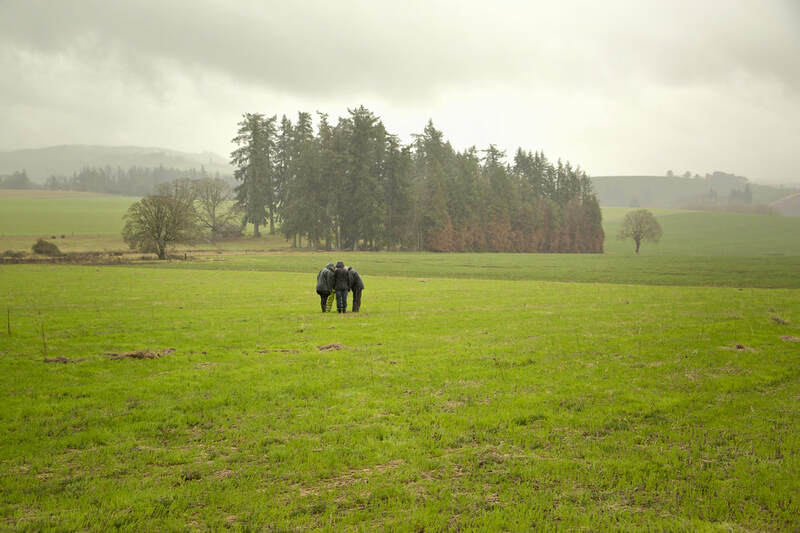 Three farms throughout the Willamette Valley serve as our farm data collection sites for yields (fiber and seed), harvesting methods, retting times, baling and storage of flax straw for future fiber processing. A focus for this growing season is a comparison of dry farming versus irrigated crops. In the summer of 2018, in an effort to build relationships and gather as much information and technical assistance as possible, Fibrevolution Co-founders Shannon and Angela visited Belgium, France, and the Netherlands to tour fiber flax farms, processing facilities, linen growers cooperatives, linen textile producers, and machinists to make the connections necessary to import harvesting and manufacturing equipment into the United States. 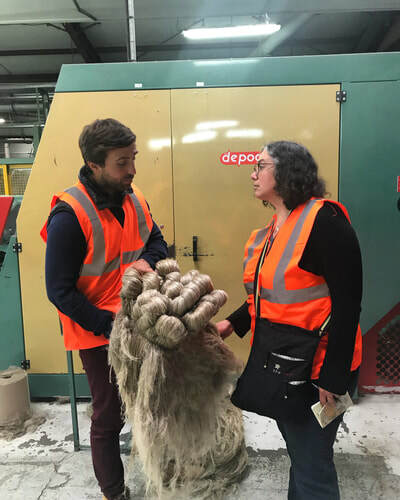 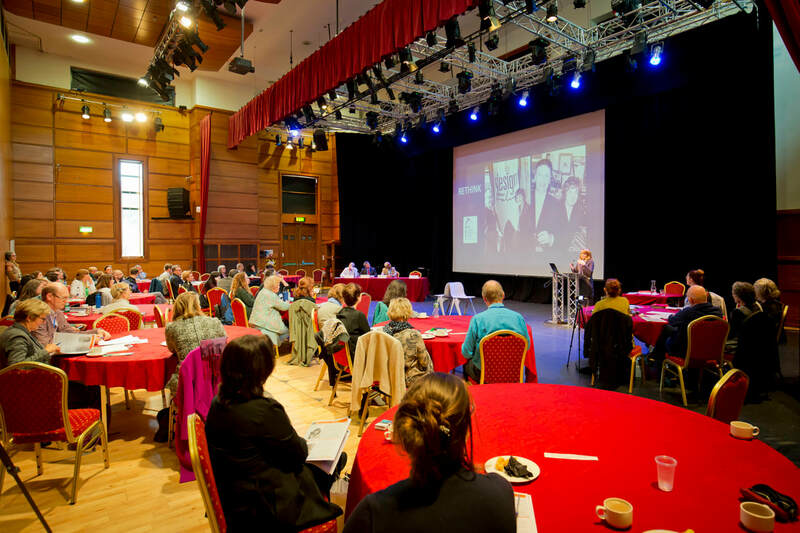 In the fall of 2019 Shannon and Angela traveled to Northern Ireland to attend the Linen Biennale Northern Ireland. The Linen Biennale stimulates new thinking about Ireland’s oldest textile products: flax and linen. 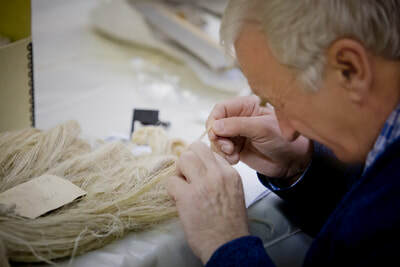 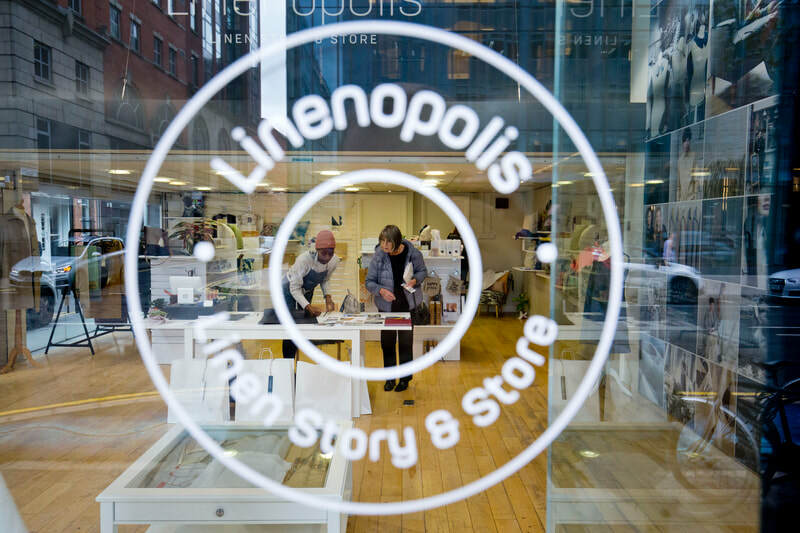 Reaching out to the last of a generation who worked in the heyday of Ulster’s linen production, the Linen Biennale forms a bridge to connect Ireland's internationally renowned linen heritage with contemporary uses and highlight the very best in cutting-edge developments from around the world. 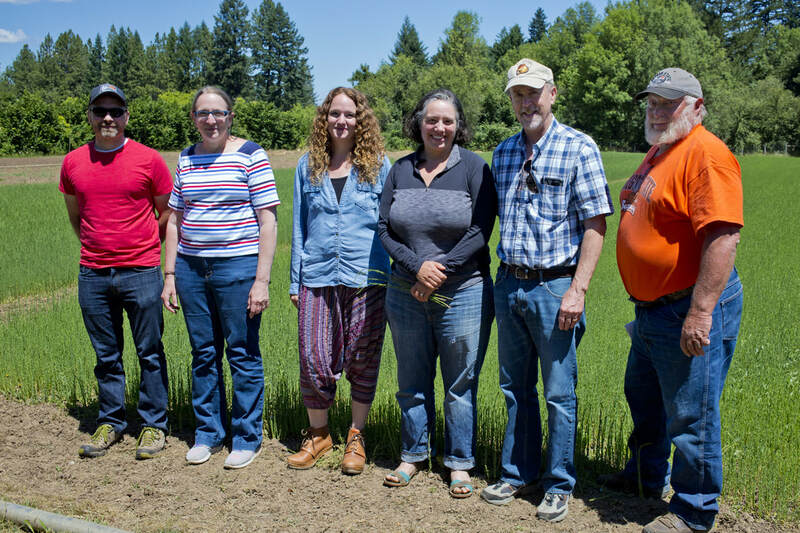 ​Together in 2017, our research team bred fiber flax varieties specific to our region, classed flax grown in Oregon, and established procedures for harvesting and field retting future crops. Planting flax on a large scale requires us to create a local source of fiber seed varieties first. Currently there are no fiber flax programs growing commercial quantities of seed in the United States. 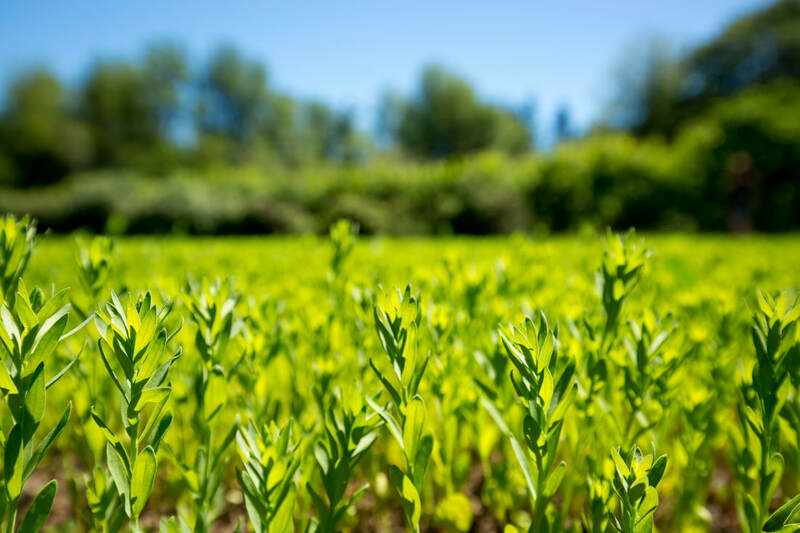 By establishing a seed breeding program, we can steer the results toward fiber flax best suited to organic systems in our bio-region. 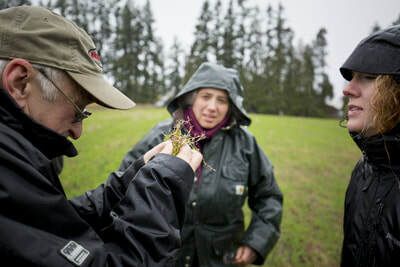 Consulting with Alvin Ulrich, President of Biolin Research in Saskatoon, Saskatchewan, we learned how to hand grade and class fiber flax. 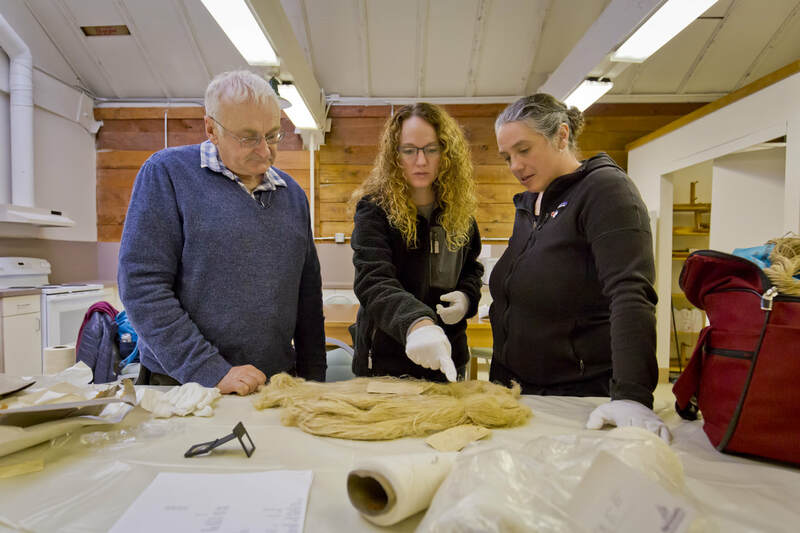 To assess the quality of fiber produced in Oregon, we were able to analyze historical samples as our base, in partnership with the Willamette Heritage Center. 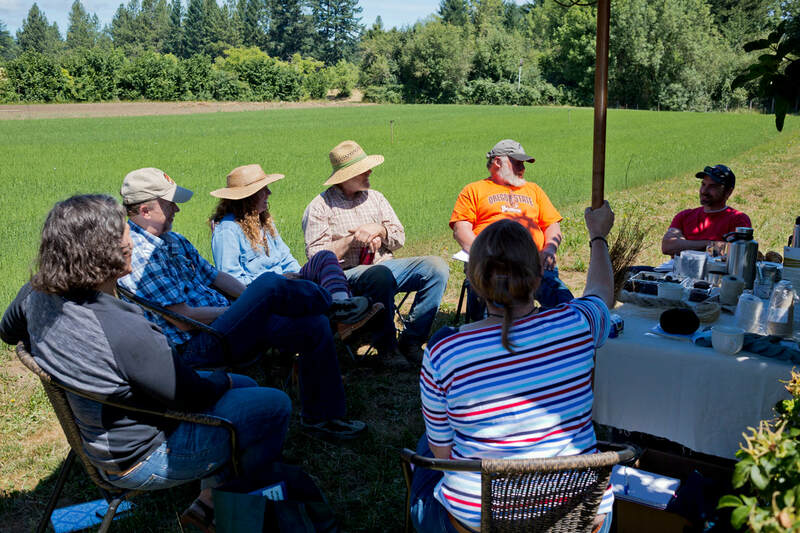 We also compared the quality, yield, and environmental aspects of conventional farming versus organic, which leads to a better understanding of how our practices impact the soil and ultimately the longevity of our planet.